President Obama disclosed this on a YouTube interview which the White House scheduled as a way to reach younger audiences as it promotes Obama’s final State of the Union address on Tuesday. It included rosary beads given to him from Pope Francis, who he met at the White House this fall; a tiny Buddha statue procured upon him by a monk; a silver poker chip that was once the lucky charm of a bald, mustachioed biker in Iowa; a figurine of the Hindu monkey God Hanuman; and a Coptic cross from Ethiopia, where he visited in July, CNN reported. “I carry these around all the time. I’m not that superstitious, so it’s not like I think I necessarily have to have them on me at all times,” Obama said. But he said they do provide some reminders of the long path of his presidency. I can overcome, because somebody gave me the privilege to work on these issues that are going to effect them,” he said. 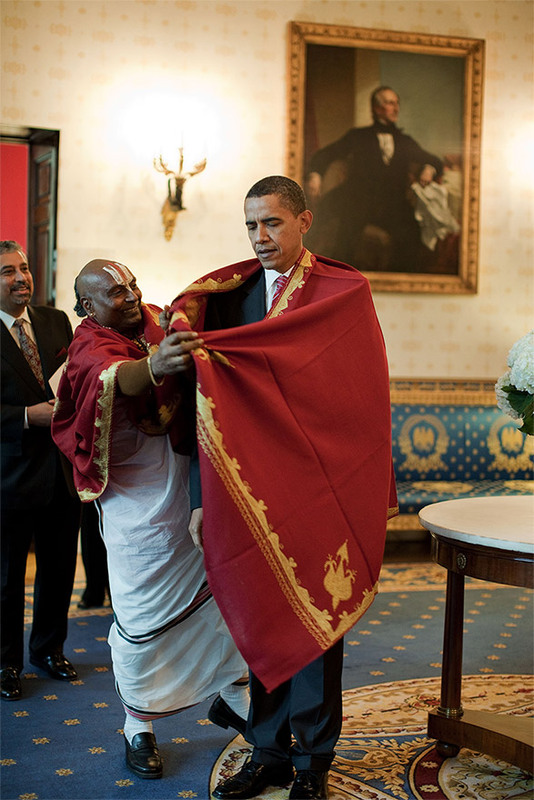 originally ONLY HAnuman jee used to stay in president Obama’s pocket. however after he become president .lots of other religions leader come to know about Hanumanjee is king for Obama. they started pushing for their charms and as Obama being president he cannot refuse . i bet once his presidency is over ,other religions idol will out of his pocket and Hanumanjee will back to one and only.it is possible Hanumanjee staying in right pocket and other may be staying in drawer but PR moment too. I admired President Obama’s feelings and belief in keeping Sri Hanumanji,s statuette and other small memorable things. And yet Obama considers Hindus intolerant! Hindus are easily deceived by appearances. 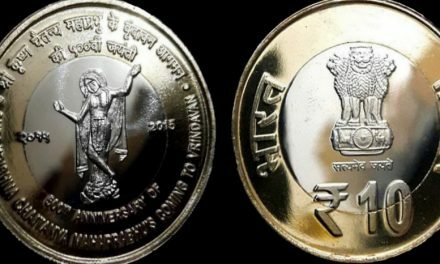 If it was only Hanuman’s icon alone in his pocket, then Hindus could have felt proud, but as it stands this idea of having a host of other religious icons underlines the brainwashing of the typical Hindu Indian who do not have faith in his religion per say rather depends on the support of other beliefs for his one to be true. For me, this is plain politics. very interesting and natural for OLbma ato have universal brother-hood beliefs. Jai Hanuman. As an ardent disciple of Lord Rama and Hanuman, I feel so happy that the World over our Hindu Philosophy is not only admired but also firmly believed and followed by not only millions of people around the Globe but including some World Leaders . It time and again has established the fact that Hinduism has not only survived for so many millions the onslaught by non believers, but will survive and sustain the peace and tranquility for all the believers. Jai Hanumanji, Jai Sita Ram. hanuman is known with several names characterizing his work and success. He is known as karyasiddhi Hanuman and best among those highly wise in thought and action to success. Indifferent to caste, colour, creed and nation Hanuman is a benefactor.He derived in him the power of Rama(ramasakti) , the Karmayogi par excellence as a Human being. So it should be a lesson and inspiration to all humans and more to hold on to Hanuman in any form which would help for happiness peace and success in endeavors which a Human being is prone to be doing. he is here rto do karma and merit.If t is good that would add strength. Jai Hanuman the impeller to all! Awesome, faith dwells in the seeker. Shriram! Jai Hanuman jnanagunasagara! Today 1/19/Tu/16 is Tuesday Hanumanji’s holy day of the week besides Saturday. I am a Hindu and devotee of Lord Hanuman. Having lived in USA for many years it is hard for Americans specially Christians to believe that Obama keeps Lord Hanuman statuette his pocket. I need to see some authentic proof of such statement. I will appreciate if you can email me such proof. It is our duty to respect and honour other religions. likewise, if Obama, has chosen to keep Hanumanji with him, it is his belief and definitely it will do good for him, internally. we indians should not get excited from such acts or start praising a person for keeping such beliefs. All depends on the way we perceive things. As read the article regarding Mr. Obamas spiritual believe in Hanuman Ji. It is very interesting and produable thing for Hindus . It means Hindu God’s worship in all over World. Lord Hanuman was instrumental in helping Lord Rama in conquering Ravana. Now he has flown to US and conquered Obama! Sankara, you stand corrected… Hanumanji has not conquered Obama – a very good and respectable being being unlike Ravana – rather, he has won him over as a believer. Just because Obama showed a Hanuman figurine as one amongst his collection of totems, Hindus should not unnecessarily get elated. Political leaders are offered various gift items whereever they visit of which some catch their liking and then they choose to carry these in person whereever they go – mostly as a matter of sentiment. It is foolish to attach religious connotations to such matters. NextThere is No Beef in Vedas. A Brilliant Explanation By an IIT Alumni Thrashing False Claims.